The restriction on fuel and gas deliveries is likely to hit Gaza particularly hard, given that Israel destroyed the Strip’s only power plant in 2014 and Israel’s ongoing naval blockade of Gaza has made rebuilding the plant impossible. The Kerem Shalom crossing is the only checkpoint used to transfer goods across the Israel-Gaza border. The Israeli government had previously announced in May that the crossing would remain closed until Israel had been reimbursed for damage to the border fence and surrounding areas following recent protests in Gaza against the blockade and during the Great Return March. 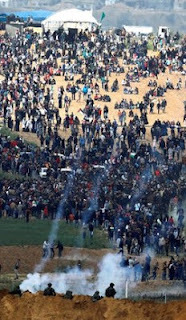 During those demonstrations, the Israel Defense Forces shot over 6,000 unarmed demonstrators and killed hundreds of demonstrators, as well as medics and journalists. In addition, Lieberman, who recently asserted that there are “no innocent people” living Gaza, also stated that Israel would tighten its naval blockade of Gaza from six to three nautical miles off the Gazan coast, a move aimed at restricting the movements of Gazan fishermen. Lieberman stated that the new measures were in response to “continued attempts to carry out terror by the Hamas terror organization.” Hamas has ruled the Gaza Strip since 2007, after it won local elections. The restriction on fuel and gas deliveries is likely to hit Gaza particularly hard, given that Israel destroyed the Strip’s only power plant in 2014 and Israel’s ongoing naval blockade of Gaza has made rebuilding the plant impossible. Since last July, electricity was available only between two and four hours each day. The suspension of gas and fuel imports from Israel will likely exacerbate the area’s chronic fuel and electricity shortage. Lieberman’s announcement came after a weekend of Israeli airstrikes pounded the Gaza Strip in its most massive show of force since the 2014 war, killing two Palestinian teenagers and wounding several others. The Israeli airstrikes were allegedly in response to primitive mortars fired from Gaza, one of which wounded four Israelis in Sderot. Those, in turn, had been launched in response to prior Israeli airstrikes that wounded 30 Palestinians. Another reason for the increasing tensions has been the “incendiary kites and balloons” that have floated over the Gaza-Israel border. Israel has recently warned that it will no longer tolerate the kites or balloons, an apparent signal that these objects – which Gazans view as legitimate resistance to protest the blockade – could well be the pretext for a future war. Working up to another war? The high probability of a conflict was also mentioned by IDF Chief of Staff Gadi Eizenkot, who stated that another Israeli invasion of Gaza was “likely” to occur this year. 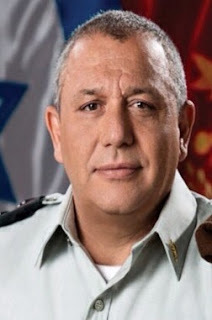 Eizenkot ironically framed the imminent invasion as a way to “prevent a humanitarian collapse” in Gaza, suggesting that military action against Gazan civilians and infrastructure would somehow improve the daily lives of the Strip’s inhabitants. This bizarre conspiracy theory, emerging earlier this year, blames the Israeli military for propagating this “malicious mantra” and asserts that the humanitarian crisis is being faked by Hamas as a means of receiving “free” amenities from Israel’s government, which seeks to avoid the Strip’s economic collapse and any ensuing violence that could result. The circulation of such theories despite the clear evidence of Gaza’s precarious situation, as well as Israel’s move to tighten the blockade, suggests that Israel’s policies towards Gaza are unlikely to ease anytime soon and are instead likely to worsen.